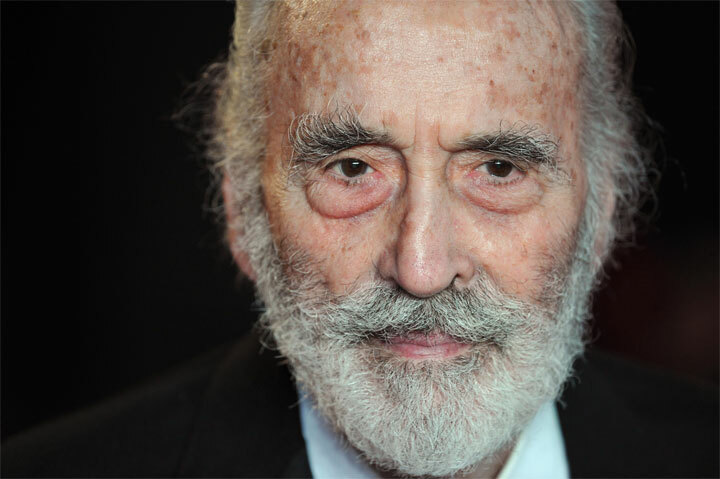 You name a bad guy, from Dracula to Frankenstein's monster, the Mummy to Fu Manchu, from The Wicker Man's Lord Summerisle and Bond adversary Scaramanga to Lord of the Rings' wizard gone bad Saruman and Jedi villain Count Dooku, you'll find the fine features of Mr Lee behind him. The undisputed king of the scary movie, in a movie career spanning almost sixty years he has been put to death in every way known to man ('and in a few ways known only to scriptwriters' as he puts it) and has fought more on screen duels than any other actor, including Douglas Fairbanks and Errol Flynn. 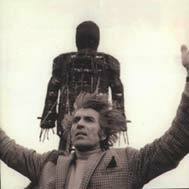 Yup, there's a hell of a lot more to Christopher Lee than fangs and a cape. And for an award-winning actor who has appeared in over 200 films (a world record, in fact) to be remembered principally for sinking his teeth into nubile young girlies during the '60s and '70s is, frankly, an insult. 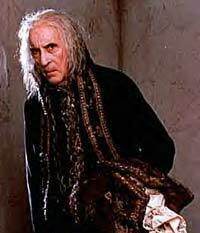 And he's not just famous for his villainous performances: what about, for example, his role as the lugubrious servant Flay in the BBC's version of Gormenghast (his scenes with Ian Richardson were a joy)? 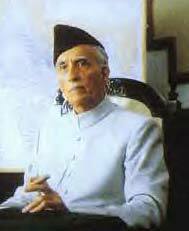 Or his apparent tour de force performance as Pakistani leader Jinnah, which, I must admit I've yet to see. However, I must admit that my interest in his career was initially sparked by his role as Dracula. I was, after all, the secretary for the Society of the Undead (Vampire Section) for two years, so it's only natural. And the fact that most of his roles do seem to dance on the dark side only adds to his appeal: for me his greatest roles are definitely Saruman and the ruthless Lord Summerisle in The Wicker Man, one of the finest horror movies ever made. 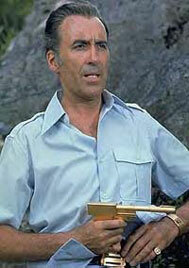 But just what is about Christopher Lee that makes him so great? Is it his great height (over six foot) and aristocratic bearing, his piercing eyes and compelling, deep voice or his magnetic on screen presence that make him so mesmerising to watch? Damned if I know. 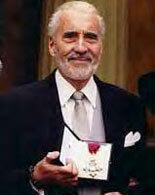 2003 saw the publication of Christopher Lee's autobiography, Lord of Misrule, a highly entertaining read that offers a fascinating insight into the many talents of the man (although there was rather more information about golf than I found necessary, being far more interested in his career on screen than on the green). Through a mixture of family history, war stories and humorous anecdotes, the book reveals an immensely active and hard-working personality who has dedicated his life to the messy business of entertaining people, and rubbed shoulders with superstars from Karloff, Cushing and Price to Muhammad Ali and JRR Tolkein along the way. Ten years on he may be looking increasingly frail, but he's still going strong, and is full of surprises as ever. Besides reprising his role of Saruman in The Hobbit and as (somewhat regrettably) as Lord Summerisle in The Wicker Tree, making a welcome return to the world of Hammer and teaming up with Tim Burton again for Dark Shadows, he's also released a heavy metal album. Is there any end to this man's talents? 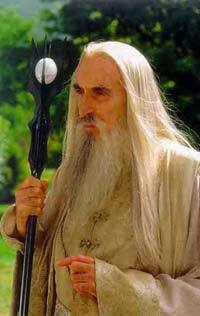 Like so many, I was gutted to hear of Christopher Lee's death. Yet the outpouring of love, respect, admiration and delight over his incredible life was as heartwarming as it was warranted. Any fears Lee may have harboured about being remembered only for Dracula proved utterly groundless, as fans shared their favourite moments from his seventy year career. Monster, villain, aristocrat, wizard, heavy metal god: Lee was all this and so much more. Rest in peace Sir Christopher, you've lived an amazing life. 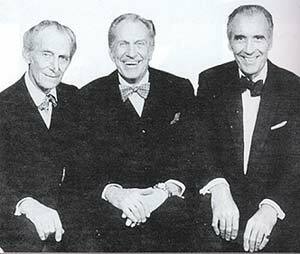 Three legends together: L-R Peter Cushing, Vincent Price and Christopher Lee.